She will not allow them to remove their pastFor Valli Querol, humble daughter of tenant farmers of Morella, the Civil War did not end in 1939, but went on a clandestine battle in a long exile. During those years of struggle, secrets and inconceivable sacrifices, Valli never lost hope of recovering that egalitarian society of which he dreamed while she was in residence scholarship Ladies of Madrid. After the arrival of democracy, Valli returned to Morella and returned to practice as a teacher, but the society that she found was far the Republican spirit which she had struggled and old feuds between families were not forgotten.Decades later, at the height of the housing bubble, the new mayor of Morella planned sale of the old school for an astronomical amount of money, which includes several deals that would make a casino, on floors or in a satellite center of elite Eton College, thanks to personal interest of one of his teachers for Morella. 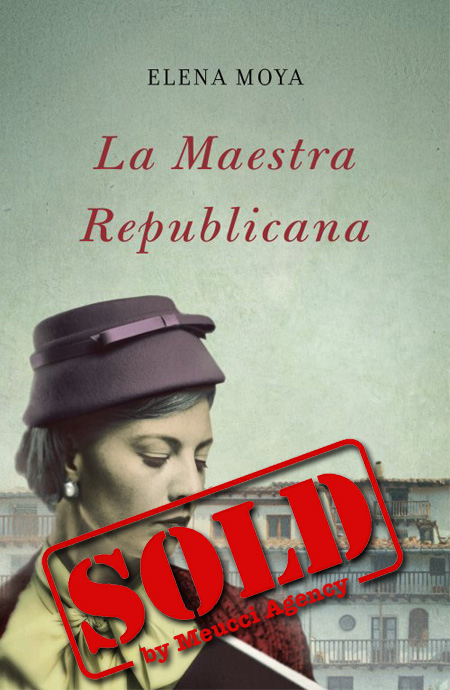 What they did not tell the mayor is with the opposition and the tenacity of the octogenarian Republican teacher, who will do everything possible to prevent the school from becoming a bargaining chip between corrupt politicians.La Maestra Republicana is the vibrant story of a woman struggling to preserve the dignity of their own past and that takes us into the impenetrable world of Eton College and the almost unknown Residence for Women, the female version of the Student Residence. Her story and the characters that relates also a metaphor of our time, political corruption and social despair in which we live, and how a fighting spirit can put them in check while restoring values of honesty and justice almost forgotten.